You should youtube mac hodges big bomber, he does demonstrations where he launches an X-1 rocket plane from the bottom and another pilot takes over, lights the rocket and glides it back down. I also saw rocket gliders from my brief exploration into rocketry. I found out doing this is really complicated. This definitely not the best design, but for now this is what I have. I am using an F engine. A lot of power and a Rocketry license needed. You could probably get away with an E or even D engine if you are doing horizontal launch. I included all accountable weights plus 80grams of extra weight on the nose so that it will fly stably. oh, right! I forgot about that. I think there was a reason why it is not common. I think it is because of the CG and CP placement issues and that it would land on its fins. When I was doing a little playing around, I noticed having the fins pointed forward made the CP move farther forward faster than the CG. Similar concept. Pretty large motor! J motor! That would look really really cool! A working Me163 working scale to how it actually is supposed to tke off. The only complex thing about it is that we would need a custom engine motor which can be done. There are quite a bit of websites selling custom engine motors. All we need is to make the burn time as long as possible. Usual Rocket burns are about half of a second to maybe three seconds. what about packing your own motors? i know you can get milled motor casings and nozzles, but im really not sure what all is involved. i assume its somewhat similar to packing your own ammo. yeah, that works! I have no idea how to do that though.... a license might be necessary, perhaps. I always assumed that you pack the casing with the desired amount of black powder, delay charge, ejection charge, and clay covering. Blackpowder! NO, NO, NO!! Get yourself over to nakka-rocketry.net and read, read and read some more. Sugar based propellents. Order his CD. It is a MUST have! Sorry, made a mistake in saying black powder. I agree with you that self loading black powder is rather dangerous for scratchbuilds and if the casing for the reloadable motor is not built to handle that kind of pressure, it will explode. Although Estes does use blackpowder in their motors, they are highly quality checked. Stupid me forgot how explosive black powder is and that there is also composite propellant. In the case of rocketry, I would rather go with store bought than scratchbuilt. Actually, I just found a nice motor that would fit the purpose I believe. I found out these are more suitable than the reloadable motors, so no packing of propellant required! EDIT: Also, since these motors are not H or above motors, no license required to launch! If launching from a plane, I think you need AMA approval and NAR approval, correct me if I am wrong. I don't think it needs to be too crazy, but more along the lines of a cheap fun project. Get a plane, rig a rocket motor either for take off or in-flight ignition and see what happens. The X1 thing can be done for cheap too, take a little plane like the "bomb" (but actually controllable ) and rig it to drop from a wing and ignite, then land. I think it's an instant hit of an episode. Basically that is what Mac Hodge's RC B-29/x-1 does. He drops it and then the G motor fires up. But also he does have all the licenses necessary to do so. 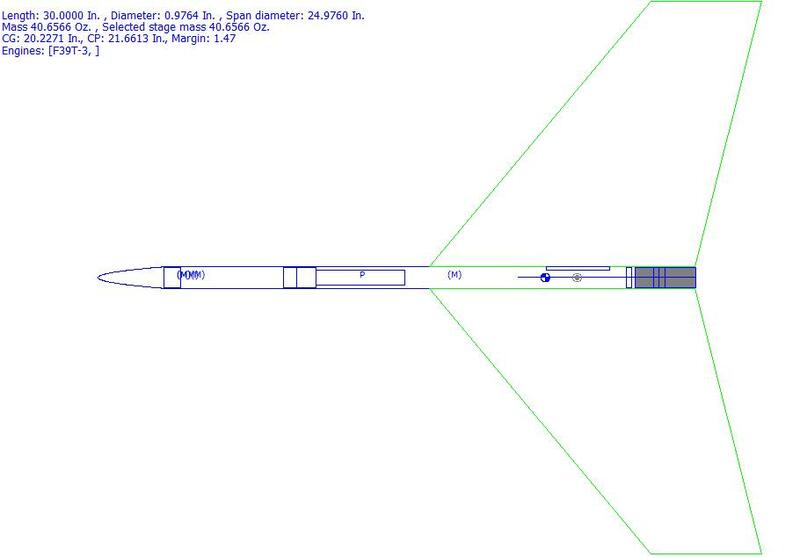 One thing I am wondering is with a rocket plane, would you need approval from the AMA (for model planes) or the NAR (for Rocketry) or both? and since planes are so draggy compared to rockets, an intense amount of force is needed from a rocket motor to do anything spectacular with a plane because of the extremely short burn time with the idea of impulse where the impulse is equal to the force exerted x the change in time.